In present times it is difficult for the software industry to make zero defect products due to the size and complexity of the software increases rapidly with customers and users demanding more and more in less time. Although the industry has invested substantial effort to improve the quality of its products, it seems achieving zero defects are like catching the sun in the sky or looking for a black hole spread in the universe. To improve the quality of the product, the industry has often focused on improving its development process and less focus on the QA testing activities. Earlier testing was considered as debugging oriented during which most software development organizations had not differentiated between the testing and debugging. The Capability Maturity Model integration (CMMi v1.3) often regarded as the industry standard for software process improvement, having a global acceptance with more and more organizations opting for the certifications, yet it focuses only 30% to 40% of testing activities. In recent years there have been numerous test models that have been evolved but none of them made the global acceptance due to lack of awareness or was restricted only to group of industries and academics. Test Maturity Model integration (TMMi v3.1) is developed by TMMi Foundation, a testing community of experts specializing in testing arena, which helps in filling up the gap for the CMMi and various test models, is positioned as a complimentary model to CMMi. 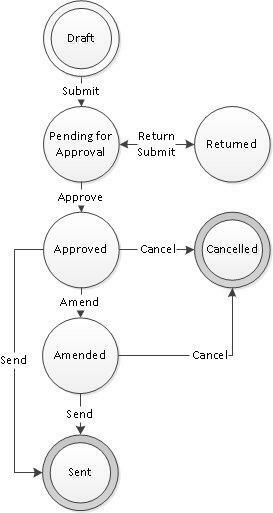 TMMi has been developed as a staged model that uses predefined sets of process areas to define an improvement path for the organization. TMMi contains stages or levels through which an organization passes as its testing process evolves from ad hoc test process to managed, defined, measured and optimized. Achieving each stage or level ensures that a foundation for the next stage has been laid for the adequate improvement. The five levels in the TMMi prescribe a maturity hierarchy with an evolutionary path to test process improvement. TMMi recognizes testing as chaotic with undefined test process and testing is often considered as part of debugging in the organization. Most likely the success in the organization is determined by the heroic deeds or the risks are accepted by the customers and users. The organizations are often characterized by over commitment, abandoning of processes in crisis times, and an inability to repeat the successes. There are no key processes involved at this level and is highly recommended for the advancement into next level. At this level testing becomes a measured process for the implementation of the Level 2 and Level 3 process areas to encourage further growth and accomplishment of the test organization. Testing is perceived as evaluation that consists of all testing lifecycle activities concerned with validation and verification for a product or related work products. With respect to product quality, the presence of a measurement program allows an organization to implement a product quality evaluation process by defining quality needs, quality attributes and quality metrics. Products or related work products are evaluated using quantitative criteria for quality attributes such as reliability, usability and maintainability. To summarize, TMMi process areas provide wide support and a more detailed specification of what is required to establish a defined verification and validation process. TMMi framework addresses all test levels (including static and dynamic testing) of structured testing (test lifecycle, techniques, infrastructure and test organization). TMMi provides an excellent reference model to aid in test process improvement for both internal and external customers and suppliers.